We’re pleased to present a number of outcome materials from our program’s launch event, the Global Learning Forum, which was held in Vancouver, BC from May 13-15. 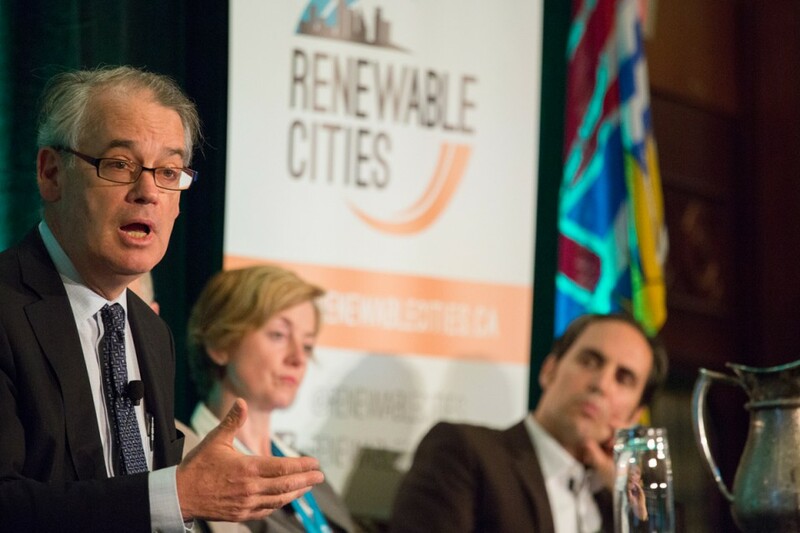 Hundreds of city staff and elected officials, members of the private sector, individuals from civil society, and key researchers gathered here to discuss how cities can lead the way on ambitious renewable energy and energy efficiency targets. 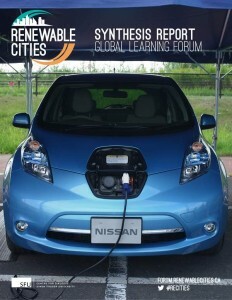 From this event we’ve created both a Final Report and Synthesis Report along with several dozen videos and other resource materials. These outcome materials represent thinking from key innovators and leading jurisdictions that are striving for 100% renewable energy in their electricity, heating and cooling, and transportation sectors. We encourage you to read, watch, listen, and share these materials. We would like to thank all our funders and partner organizations, volunteers, and speakers for helping to make the event a success. The level of participation and quality of the dialogue overwhelmed us. In Conversation Videos – We paired thought leaders together at the Forum to have a conversation about emerging trends, challenges, and opportunities for renewable energy in cities. What happens when Austin and Durban get together to talk energy? How about Vancouver and Copenhagen? Ottawa and… Greensburg?! Subscribe to our YouTube Channel for the latest and greatest Renewable Cities videos! 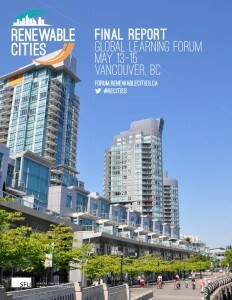 We will maintain the forum.renewablecities.ca webpage as a legacy document, which includes speaker biographies and the Forum’s digital schedule. Through the digital schedule, you can access descriptions, information about the speakers, and presentations from individual sessions. We would also like to thank our funders for supporting the Global Learning Forum: North Growth Foundation, Sitka Foundation, Alterra Power Corporation, RBC, Vancity, and the Consulate General of the United States of America.